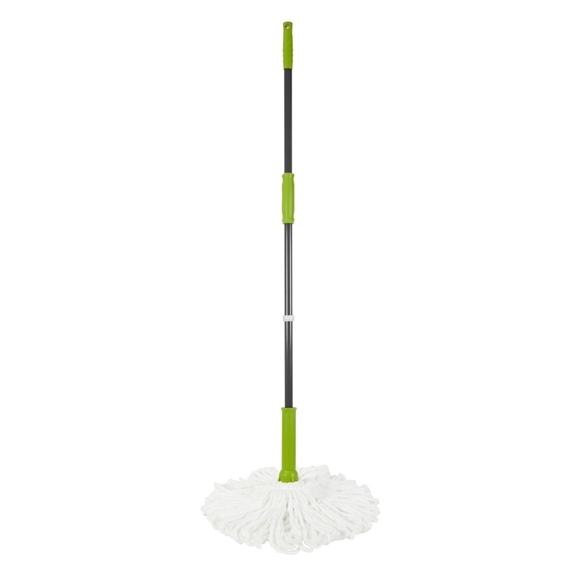 Our easy twist mop is a clever mop with a wringer built-in. All you have to do is twist and lock the handle to wring out all the water. When you twist, each of the strings is pulled a full 360°, forcing out drops of water and preventing any drips or tangles. 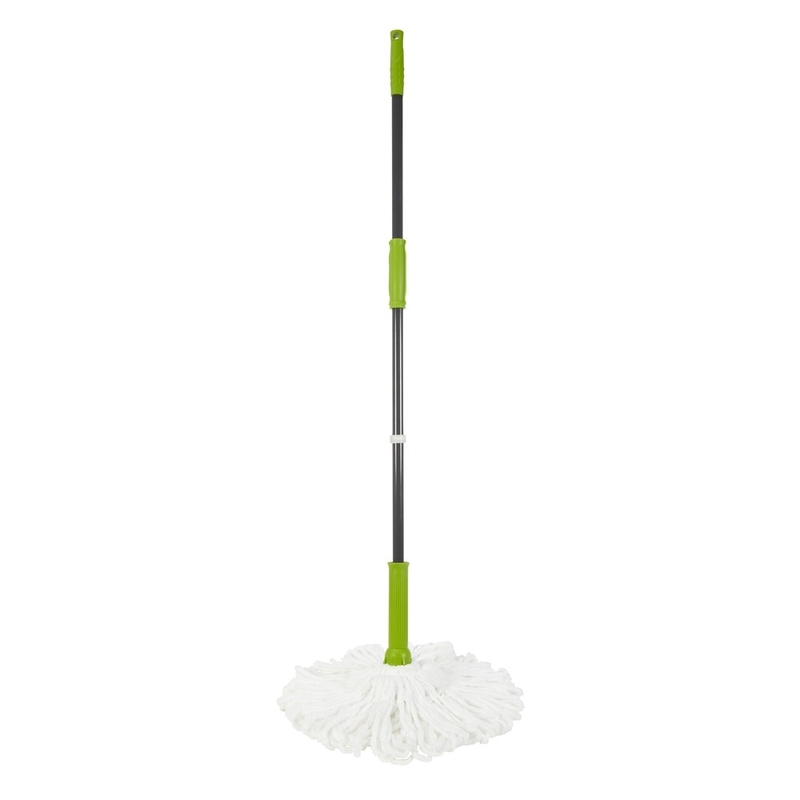 The mop is ideal for use on a variety of indoor surfaces including tiled, vinyl, marble and other hard floors. Breeze through floor mopping in no time. It's perfect to use both wet and dry, simply absorbs up moisture on spillages before you clean or use to sweep away fine dust and debris. The built in scourer gently removes stubborn stains, so cleaning is effortless.